2AM’s Jung Jinwoon, published a cute photo to celebrate Valentine’s Day. Jin Woon tweeted on Twitter, “Happy Valentine’s Day! 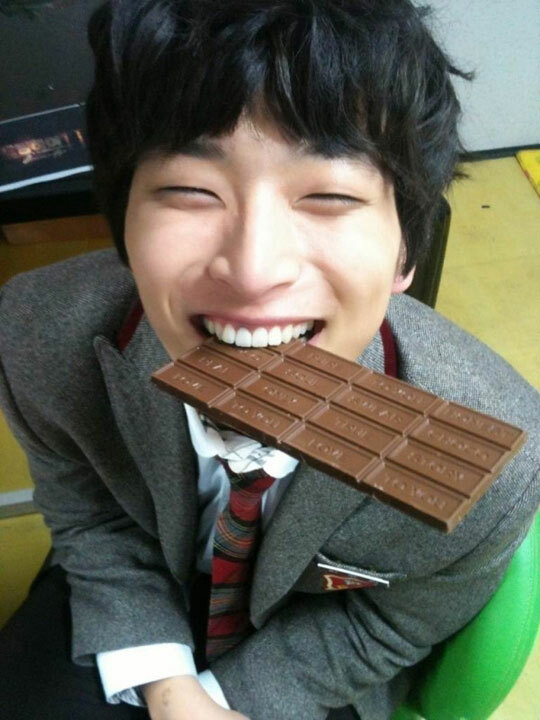 While eating chocolate, watching Dream High 2!” And he uploaded a photo where he was biting the whole row of chocolate.